“But overall, Lagos is far ahead of most states and the federal government on service delivery and provision of infrastructure. It is not generally acknowledged, for instance, that the entire country owes Lagos a debt of gratitude that the Ebola virus has been so effectively contained. If the Liberian, Thomas Sawyer, had entered the country through a state with a less alert and effective government, you can imagine what a terrible disaster it would have been for the whole country.”- Segun Ayobolu, Back Page 13th Sept, 2014. After reading the piece by my respected colleague and friend on the Back Page of The Nation on Saturday 9th April, 2016, I came to the conclusion that something must be amiss. While it may be difficult to unravel what could be going on, it should be possible to at least set the records straight on an administration in which the writer also served diligently until he left on “health grounds” sometime in 2010 but whose Team Captain he has effectively taken to the cleaners in an attempt to undertake a one year assessment of the current Governor of Lagos State, Mr. Akinwunmi Ambode. In doing so, I chose to start with a quote from a previous piece of Mr. Ayobolu, because it goes to the heart of the revision of history and unpardonable contradictions, which he chose to dish to his readers last Saturday. Mr Fashola, the “unknown quantity” was unable to deliver a wider margin for his successor because of his “disconnectedness” with the citizens and “elitist pursuits” including planting flowers and concentrating on certain elite parts of Lagos, Mr. Ayobolu argues. Staying only on the narrow path of verifiable facts and figures, I wish to humbly state that the perception of elitism is only the myth of new revisionists because for every project in the elite part of town are several others in Agiliti, (where the administration delivered good quality road bridge), several drainage and road projects in Agege, Alimosho, Shibiri, Etegbin and others. For ease of location, Agiliti is at the back of the Mile 12 Market, where the recent unfortunate clashes occurred. During the campaigns in 2007, it was Fashola “the unknown quantity”, who went there to campaign and was asked to make the swampy gulf between them and Mile 12 navigable for their boats. 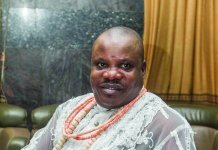 But he felt that as residents of Lagos, they deserved more and that if elected, his administration would provide them with a road complete with a bridge over the swampy gulf. For the benefit of the former Special Adviser on Information and Strategy to Mr. Fashola and his readers, a lot more happened in every part of Lagos, especially the “non-elite” areas, during the two tenures of the man, in whose administration he also served but which current exigencies may not permit him to associate with. Taking the bearing from 2008 to 2011, records show that the Fashola administration completed no fewer than 557 or 213.92 kilometres of roads across the state while over 348 others, translating to 194.724 kilometres of roads, were at different stages of completion by the end of that period. These roads include the Okota-Itire Overhead Link Bridge and Road works, Ajah-Badore Road; LASU-Iba Road in Ojoo; Old Ota Road Phase II, Agodo Community Road, Shasha Orisumbare Street and Ejigbo Association Avenue in Ikotun; and Ijegun-Isheri Oshun Isolo Roads. In the Agege Local Government Area, the roads which were constructed or rehabilitated during that period include Balogun Street; Shodipo Street; Oniwaya Road; and Humuani Adetona Street, while in Ajeromi-Ifelodun Local Government Area, Mobil-Boundary Road; Olumokun/Olayinka/Sanusi/Oduduwa Streets; Wilmer Crescent; Akpirin Street; and Wilmer/Osho Drive were constructed/rehabilitated. The Abule-Egba-Agbelekale-Meiran Road; Moshalashi to Isheri Roundabout; and Rufai/Yekini/Church Street, among others in Alimosho also benefited from the massive construction works. In Amuwo Odofin Local Government Area, roads constructed or rehabilitated include Ago-Palace Way Extension-Phase 1&2; Amuwo Odofin Bye-Pass; Omotayo Omotosho/OpemIpo Olusegun streets; and Amuwo-Odofin Festac Link Road while some of the roads constructed/rehabilitated in Apapa Local Government Area within the period include Apapa CBD Phases 1&2; Adekunle Deen Road; Ireti-Owoseni Street; Fadiani Street; Badia; Mosalashi Street; and Gaskiya-Badia Road Bridge. In line with its promise to turn its attention to the inner-city roads, the Fashola administration in 2012 began massive construction, reconstruction and rehabilitation of inner-city roads and bridges across the state including in Ajegunle and Orile-Iganmu to connect communities that had for many years been separated. From 2012 to 2015, a total of 362 roads representing 353.255 kilometres freshly built and 3,320 representing 673 kilometres that were resurfaced or rehabilitated across the state. 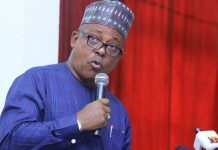 They include roads in Agege Local Government, Alimosho, Badagry,Epe, Ibeju Lekki; 22 in Ifako-Ijaiye; 10 in Ikeja; 17 in Ikorodu; 25 in Kosofe; 29 in Lagos Mainland; 20 in Mushin; 8 in Ojo, Oshodi-Isolo, Somolu; and Surulere. On a single day on Tuesday, December 10, 2012, Fashola handed over a total of 16 roads to the Mushin community and barely a month later, he was in Ajeromi-Ifelodun Local Government Area to hand over the 2.68 kilometre Alaba/ Cemetery Road to the community. Apart from road projects there are also the Maternal and Child Care Centres, Markets, Jetties and other projects that touch the lives of the people. Besides uplifting the living standards of the people, the projects also create jobs for the teeming unemployed. Deliberately, the projects in the more popular sides of the state have been left out but there is still a lot to list. The fact is that no amount of revisionism would erase the hard work put in by Fashola and the men and women, who served with him and some of whom are even still serving the state. Unfortunately, the anxiety of Mr. Ayobolu to put one down in order to praise the other person would not let him realise that the underpinning philosophy behind the advocacy part of the Climate Change and allied activities like beautifying the environment, waste recycling, empowering the Lagos Waste Management Authority to be effective and increased general level of sanitation among the citizenry, helped to overcome the Ebola pandemic for which he acknowledged that indeed there was an effective leadership in Lagos. Indeed, if the records showed that 92, 000 people comprising artisans, seedling sellers, horticulturists and others in that value chain became engaged and if hideouts hitherto used to perpetrate crime became converted to Parks, it beats the imagination as to why the driving force (or please pardon me – “the unknown quantity”) behind the initiative should be pilloried so hard. As the local representative of the grassroots, who in late 2014 agreed that Fashola provided an effective leadership in rallying the team that confronted Ebola, Ayobolu has a strong affirmation in the International Crisis Group, who in October 2015 found the former Governor of Lagos State worthy of the Stephen J. Solarz Award. However, Fashola dedicated that Award to the teeming public servants of the state and his team members, five of whom were in attendance and publicly acknowledged at the event. It has become almost a fetish for anyone seeking to carpet the “unknown quantity” for any imaginable infraction to accuse him of not acknowledging his illustrious predecessor, Asiwaju Bola Ahmed Tinubu enough, using his blueprint for Lagos without paying “copyright” or even at another extreme stealing and commissioning already existing projects without acknowledging so. The fact is that no one disputes the BRT as Asiwaju Tinubu’s vision, being driven through Dr Dayo Mobereola and Mr. Tijani in LAMATA. But it was a work-in-progress as at the time of handing over. It is unfortunate that Ayobolu would seek to rewrite history so soon. “As a government, we are bringing hope to the people by building on the accomplishments of the preceding Administration and taking concrete steps to arrest the chaos that had characterised our public transportation system. The immense challenge in the sector is best illustrated by our road transport system, which daily carries about six million passengers between the Lagos Mainland and Island in rickety buses that pose great danger to our teeming populace. 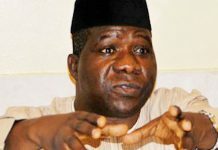 For claiming that he was unaware that Fashola left any such legacy projects for the current administration, Ayobolu’s knowledge must indeed be very poor because if Governor Ambode commissioned the expanded Mile 12-Ikorodu road in November 2015 along with 430 new buses, it is tantamount to sheer hypocrisy to say nothing was handed over. The Ipakodo road and Awolowo roads were ready just as the opening of the new Apapa Amusement Park was scheduled but Fashola directed that the event be stepped down and slated for the then incoming Governor. There is a tendency to see major transitional junctures as a show of individuals, but in reality, it’s one government handing over to another. As a government, no less than 200 projects – completed, nearly completed and ongoing – were handed over to the new administration including the headline projects like the Lagos Light Rail project. The bridge was virtually ready just as the Adisa Ajibulu road works and bridge linking Mafoluku to the Airport road in Oshodi Local Government. There was also massive housing construction going on at Ilubirin, Ibeshe, Igbogbo, Gbagada Phase 2, Mushin, Sangotedo, Akerele Phase 2, Oko Oba and others. Apart from brick and mortar, there were also useful institutions of government left behind like the Lagos State Electricity (LESB) currently being used to light up Lagos on Independent Power Plants left behind, the Public Works Corporation (PWC), the Lagos State Security Trust Fund (LSSTF), the Safety Commission, the Building Control Agency and the retooled Fire Service among others. Irrespective of whatever Ayobolu or anyone for that matter may choose to believe that could have been responsible for the level of bile ventilated last Saturday, Fashola in his private and public conversations speaks positively about the state government because he believes there could be only one Governor at a time, who should be given all the support to succeed. As minister, it was the honour of Fashola to defend and secure the Federal Executive Council’s approval of the next tranche of $200 million World Bank loan for the completion of the Light Rail Project and other infrastructure projects. The $600 million loan was approved by the World Bank for Lagos during Fashola’s tenure as the Governor specifically to support his infrastructure initiatives. It has also been the responsibility of Fashola as minister to approve the application of the Lagos State Government, through its Ministry of Transport, for the open land at Oworonshoki on its merit without any fuss. The reality is that Governors come and go as indeed do governments. No one individual can appropriate the destiny of a people or claim to have done everything. For years, preceding administrations could not track down the leader of the Al Qaeda group, but Barack Obama did. When it was time to get the honours at Ground Zero, Obama invited his Republican predecessor to step forward but George Bush declined saying Obama was the sitting President. If due to the “prevailing political climate” Ayobolu would rather distance himself from a government in which he served meritoriously, he should not desecrate the efforts of the administration and the other team members, who put in their level best while also holding the team captains of the various dispensations in high esteem. Indeed, it would be more advisable for Mr. Ayobolu to take on Mr. Fashola directly if he has any grouse or unfinished business with him. While I cannot personally recall any reason for this, I do recall that a truly moving valedictory Exco session was held for Mr. Ayobolu, when he was leaving the Cabinet in 2010 on “health grounds”. On that occasion, Fashola spoke about the “vacuum” Ayobolu would be leaving behind being difficult to fill. Ayobolu, in return, thanked Fashola immensely for the opportunity to serve. If the former had any issues about the leadership style of the latter or the policies of the administration, which he led, he never stated so. However, I do know for a fact that people change and that Fashola would not be the last victim of the regular abuse of platform in pursuit of a perceived infraction against the leader just like Dr Kayode Fayemi, Dr Muiz Banire and more recently, Aremo Olusegun Osoba before the famous return to the fold. A lot more happened in every part of Lagos, especially the “non-elite” areas, during the two tenures of the man, in whose administration he also served but which current exigencies may not permit him to associate with…Deliberately, the projects in the more popular sides of the state have been left out but there is still a lot to list. The fact is that no amount of revisionism would erase the hard work put in by Fashola and the men and women, who served with him and some of whom are even still serving the state.